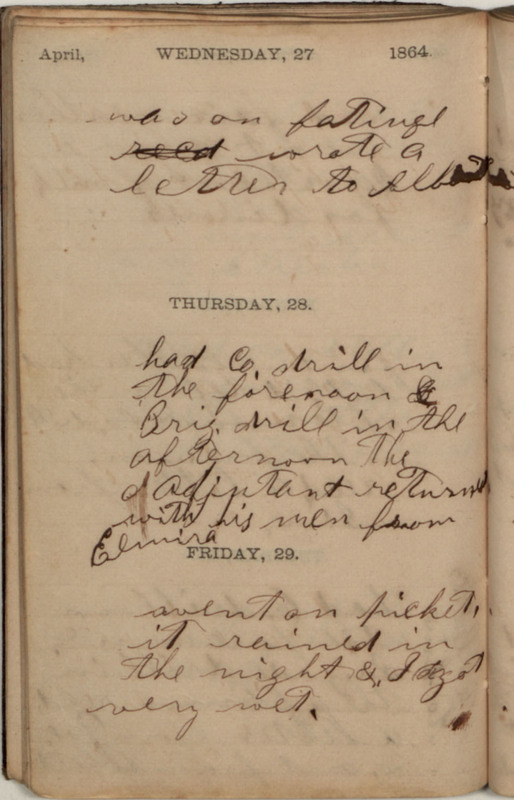 April, WEDNESDAY, 27 1864. was on fatigue wrote a letter to Albert THURSDAY, 28. had Co. drill in the forenoon & Brig. drill in the afternoon The [d?] Adjutant returned with his men from Elmira FRIDAY, 29. went on picket, it rained in the night &. I got very wet.